#FindingFranklin: Discover Franklin and win prizes from DFA merchants! 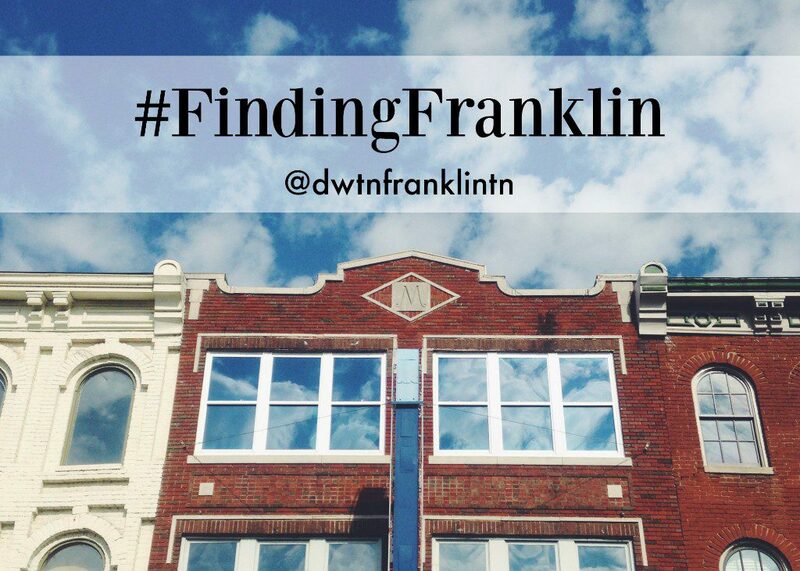 Some of you may remember our #ForeverFranklin social media campaign from last year, but THIS year we’re gearing up for a new contest in the form of a scavenger hunt — #FindingFranklin! See how well you know Downtown Franklin and win awesome prizes! Each Friday, we will be posting a clue from a business in Historic Downtown Franklin on our @dwtnfranklintn Instagram and Facebook pages. Comment where you think the clue is located and tag two friends for a chance to win a prize valued at $50 from our very own DFA merchants! We will be revealing a winner every Monday, so you’ll have lots of chances to win! Be sure to follow @dwtnfranklintn, and keep an eye out next Friday for the first clue!